RUBBER TIRE SKID STEER. Reliability, speed, PILOT OPERATED JOYSTICK controls and compactness. 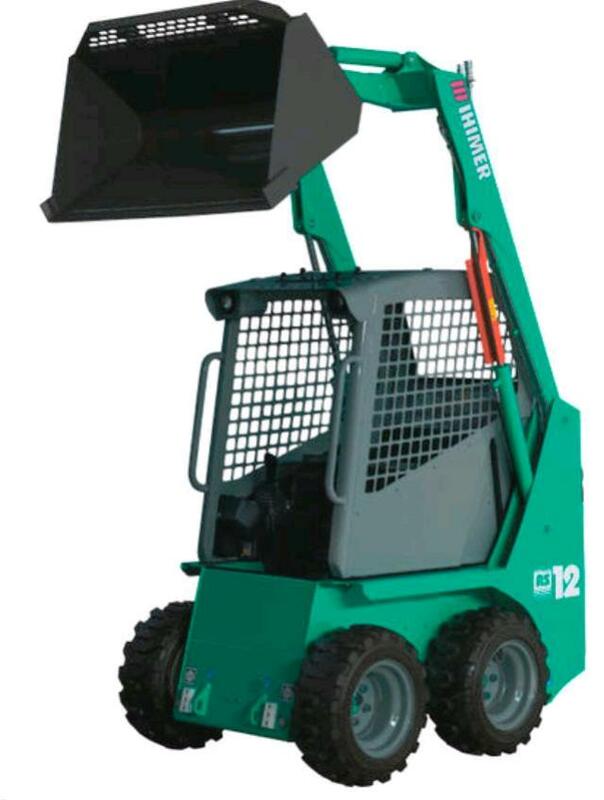 The AS-12 is ideal for working in confined spaces with maximum flexibility. With an operating weight of 2955 lbs., the AS-12 can handle an operating load (SAE Standard) of up to 728 lbs., with a breakout force of 1658 ft/lb. The AS-12 Skid Steer Loader is equipped with a 21 hp Yanmar Diesel engine ensuring excellent performance in the most complex applications. Tipping Load 50% 1455 lbs. Operating Capacity SAE J818 35% 728 lbs. * Please call us for any questions on our skidsteer small ihi rentals in Olympia WA, Lacey WA, and Tumwater WA.